Could Hypnosis for Weight Loss Be a Solution? Attempting to get healthy and lose weight can be a formidable process, and it can often feel impossible. The yo-yo dieting and defeat felt on the scale can frequently harm one’s self-esteem, leaving you feeling like a failure. The problem, however, does not lie with you or your dedication to weight loss, but instead with your approach. To begin with, most obesity issues begin long before the weight gain is obvious. Weight issues begin in the deep recesses of our brain, in our subconscious mind and not within our lifestyles, behaviors and eating habits. Since being overweight is a symptom of our habits and behaviors, the most effective way to address it is by losing weight with hypnosis. Typical diets rely on willpower and discipline to lose weight, which are present only in our conscious mind. They do not address why we crave certain foods or why we eat when we are not hungry. As a result, a typical diet lasts only 72 hours and the weight loss experienced is only temporary in nature. Hypnosis for weight loss provides quicker and more long-term results because it addresses the issues that drive overeating subconsciously. No more restrictive dieting that does not work,medications that can have harmful side effects or surgeries that can be expensive and dangerous. 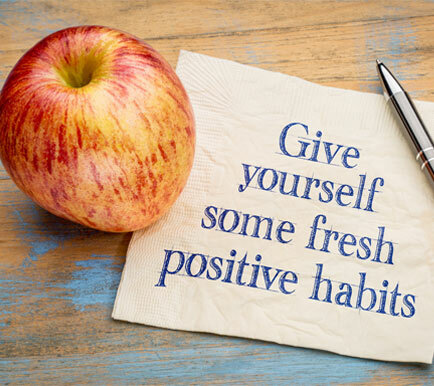 Hypnosis therapy is a truly results-driven treatment, and clients can sometimes experience a noticeable change in their poor eating habits in as little as one session, with real, permanent changes in 15-20 sessions. Based on itsproven track-record as a treatment for health and healing, hypnosis is accepted worldwide as a valid form of therapy that is known for providing long-term results in a short amount of time. While often not reflected accurately on television shows, hypnosis never requires surrendering your morals, good judgment or conscious mind to accomplish the goals you communicate to your hypnotherapist. In fact, weight loss via hypnosis is a safer treatment option for most individuals due to the absence of drugs or surgery. Clients of weight loss hypnotherapy view it as a more stress-free and competent form of addressing their health needs.